Engro Foundation was born from the passionate belief that only with a purpose beyond profit do all commercial endeavors find meaning. For over fifteen years we have supported and empowered innovation and supported partners in line with our core commitment to create lasting difference in the communities we engage in by perpetuating self sustaining transformational initiatives. We combine financial contributions from Engro group companies with external contributions to achieve our mission. Owing to demonstrated results and excellence of execution we are the partner of choice in the development sector for local, international and government development agencies. To maximize social and economic impact of our developmental work Engro Foundation has pivoted to an inclusive business model that targets low-income communities where Engro businesses are based. By innovatively providing low-income communities with opportunities of skills development and livelihood we create an ecosystem of employment, functional markets, products and services that spurs economic growth in targeted underprivileged areas and encourages entrepreneurship. 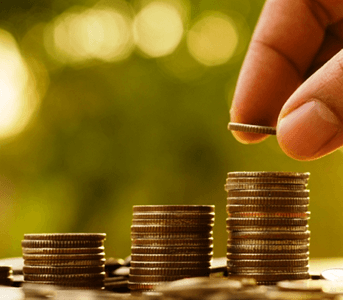 This model enables underprivileged members of our society to emerge as potential business partners and become vendors, customers and employees in our business value chains. Our Board of Trustees consists of the top executives from Engro group of companies. The board follows strict governance and meets regularly and is responsible for setting up the strategic direction for Engro Foundation. Ghias Khan is the 4th President & CEO of Engro Corporation. Since he came on board at the end of 2016, Ghias has been instrumental in revamping Engro’s strategy, culture, and global outreach. Ghias, along with the Board of Directors, have defined a powerful central narrative for Engro Corporation that will chart its path for years to come. There have been several notable achievements for Engro under Ghias’ guidance thus far. He has stewarded Engro’s renewed commitment in the petrochemical sector, with several growth initiatives in Engro Polymer & Chemicals and other greenfield projects, consolidated the management of all energy assets under one platform with a long-term strategy of investing in the overall energy value chain, paved the way for more cooperation with our long-time partner, Royal Vopak, through their entry in Engro Elengy, and, finally, has been instrumental in the robust turnaround of the rice business of Engro Eximp Agriproducts which won its first-ever Top Exporter Award in 2018. Ghias is currently leading several innovative transformations at Engro, including an extensive HR transformation that focuses on revamping all talent management, development, and reward philosophies. In this vein, 2018 marked the launch of the Engro Leadership Academy, which will serve as a platform to develop effective leaders. Further, Ghias is spearheading Engro’s OneSAP initiative, which will bring the group onto a singular technology platform and will lay the foundation for a digital future. 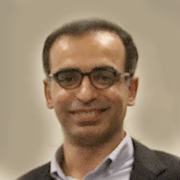 Former CEO of Inbox Business Technologies, an enterprise technology company that he co-founded in 2001 and remained with till 2015, Ghias grew the employees to over 1900 and pivoted the company from a computer manufacturer to a systems integrator, and then to a technology-enabled digital services company. In his final year at Inbox, it was voted the largest technology company in Pakistan by Domestic Spend. Ghias has also previously served as Executive Director of Dawood Hercules. Currently, Ghias also serves as Chairman on the Boards of Engro Fertilizers Limited, Engro Polymer & Chemicals Limited, and Engro Energy Limited. He holds an MBA from the Institute of Business Administration, Karachi. Ghias was part of the Hong Kong under 16 cricket team, has represented Pakistan in the junior bridge team, and, in 2015, won the amateur singles championship at Karachi Golf Club. Ruhail Mohammed has an MBA in Finance and is the President and Chief Executive Officer of Engro Fertilizers Limited since May 2012. 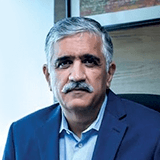 Previously he has served as the Senior Vice President and Chief Financial Officer of Engro Corp and also the Chief Executive of Engro Powergen Limited. Prior to his association with Engro, he has worked in various senior positions in Pakistan, UAE and Europe. He is on the Boards of Engro Corporation as well as a number of its subsidiaries. He is also on the Board of Pakistan Mercantile Exchange, Cyan Ltd and Pakistan Institute of Corporate Governance. Jahangir Piracha has appointed as Chief Executive Officer of Engro Vopak Terminal Limited and Engro Elengy Terminal Limited on March 21, 2017. He was previously the Chief Executive Officer for Engro Powergen Qadirpur Limited. Prior to this he was Vice President – Manufacturing at Engro Polymer & Chemicals Ltd. 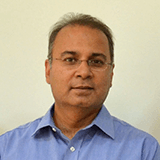 He has previously worked as General Manager Human Resource & Corporate Services, also with the same company. His previous assignments with Engro were, as the Production Manager and HSE Manager at Engro Fertilizer Limited. 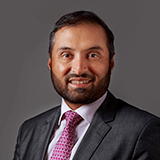 Prior to joining Engro in September 1994, he has worked for ICI Pakistan Ltd. He received his bachelors’ degree in Chemical Engineering from the University of Engineering and Technology, Lahore, Pakistan in year 1989. Mr. Shamsuddin A. Shaikh is Chief Executive Officer of Sindh Engro Coal Mining Company effective June 18, 2012. Prior to this Mr. Shaikh was Senior Vice President at Engro Foods. Mr. Shaikh has an extensive career of 25+ years in Manufacturing, Sales, Commercial and Supply Chain at different levels and subsidiaries of Engro Corp. He holds MS in Industrial Engineering and an MBA from Colorado State University. Imran Anwer is the Chief Executive Officer of Engro Polymer & Chemicals since 2015. Prior to this he was serving as the Chief Financial Officer in Engro Fertilizers. Imran has achieved significant milestones during his career with Engro. He has proven his leadership skills and displayed strong business acumen and commercial sense whilst handling a major role in Engro Foods such as acquisition and listing of Engro Foods Limited. Imran worked with Deloitte in 1994, up until 2002 as Manager Corporate Finance. He then joined Fuchs Petroleum, and served as the Chief Financial Officer from 2002 to 2005. 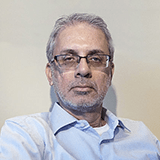 Imran joined Engro (then Engro Chemicals Pakistan Limited) as Manager, General Accounting in 2005. 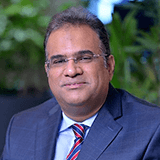 He was then moved to Engro Foods in 2007 where as the CFO he was instrumental in deploying SAP system throughout the Company ultimately allowing the business to emerge as a market leader in dairy liquids. Thereon, he also served as the CFO of Engro Fertilizers before moving on to becoming the CEO of the petrochemicals business. Imran is member on the Board of Engro Eximp Private Ltd. and Engro Eximp Agriproducts Pvt. Ltd.
Foundation’s mission is to include the under-privileged in Engro’s value chains, enhance the lives of people in related communities and engage with relevant stakeholders via actively measured positive social impact for a sustainable Pakistan. Engro Foundation is fundamentally committed to creating shared value. For any project to have lasting impact we must ensure that it is connected to a larger value chain. 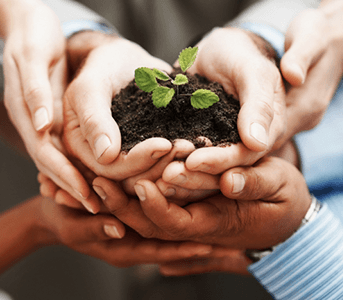 We partner with government, national and international development agencies, businesses and communities to actively work across the value chains of our businesses. For small farmer who is trapped in a poverty cycle, a project that creates yield increase is not enough. Therefore through our fertilizer farmer chain we help create infrastructure and credit mechanisms for stocking inputs like pesticides and fertilizer. We also help farmers develop linkages to market and other businesses so the farmer gets best price. We work with the government to ensure requisite logistics are enabled by infrastructure like a carpeted road, better education and health facilities. Collaboration among all actors utilizing deep knowledge and skill sets of each reshapes their relationship with society and creates shared value. Sustainable projects are initiatives that are built to last. Our projects utilize funding for critical lift off but then have a great outlook for survival after that. 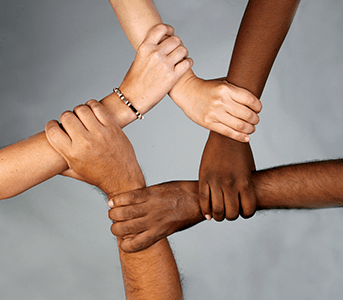 We look for interventions that involve all stakeholders of a community and bring permanent positive change. Our projects are scalable and impact largest number of people possible. We achieve this via extensive planning at the design stage to ensure that our work is replicable across geographical regions. Engro Foundation’s close interaction with associated communities and knowledge of Engro’s multiple value chains has enabled us to develop a deep understanding of sustainable impact. We have the advantage of being located close to our value chains giving us a robust 360-degree view of community needs. This understanding of sustainable impact helps us in dovetailing our development efforts with community needs and business growth. Engro Foundation’s long history of successfully delivering development projects in multiple communities has helped us develop institutional expertise in monitoring and evaluation. Our focus on continuous learning has enabled us to iteratively improve our project management. Maintaining extremely high project management standards is the reason behind Engro Foundation becoming a partner of choice for all notable development agencies. As Engro evolved from being a chemical company to one of the largest conglomerates in the country, the role of Engro Foundation has also matured. With experience our project designs have evolved from being contributions to becoming more inclusive and sustainable. Favad has been affiliated with Engro group for more than 15 years and is the Head of Engro of Foundation. He joined Engro Fertilizer in 1999 as Distribution Officer in the marketing deprtment. After various stints at Engro Fertilizer in the Marketing and Public Affairs department Favad moved to Engro Polymer and Chemicals as Market Development Advisor. Currently as the Head of Engro Foundation Favad looks after the CSR actiities for all Engro subsidiaries. He has done his MBA from Institute of Business Administration. Karachi. 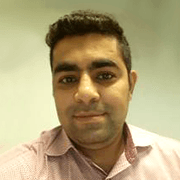 Fahad Saeed has been working with Engro Foundation since 2016. At Engro Foundation Fahad is responsible for fundraising, design, development and monitoring of Inclusive Business projects for Engro Foods, he is also responsible for monitoring performance of strategic community investments made by Engro Foods, these include a total of six schools in Nara and Sahiwal and a health dispensary in Sukkur. 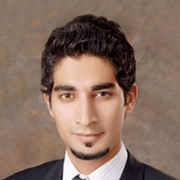 Fahad also handles the internal and external communications for Engro Foundation. His current projects include monitoring of the Strengthening Entrepreneurs and Dairy Stakeholder Network (SEaDS Net) Project in Ranipur, Sindh, the project is co-funded by Engro Foods and KfW-DEG and aims to train 7000 small farmers and 50 female entrepreneurs in better livestock management practices; designing business plan and raising investment for the first social enterprise in the Engro Food’s value chain. 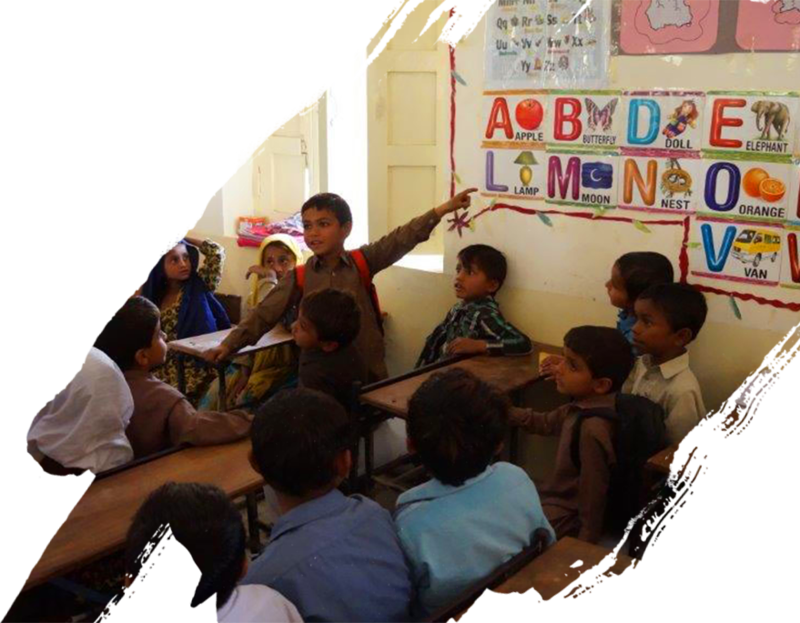 Prior to joining Engro Foundation Fahad did a two year Fellowship with Teach For Pakistan and then went on to complete his MBA from Lahore University of Management Sciences (LUMS). 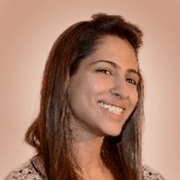 Leena has been part of the Foundation team since 2014, and has contributed towards building its capacity through numerous project interventions, which include designing, receiving, and implementing grant proposal awards of up to PKR 300 million from donors such as USAID, DEG, GIZ, and internal fundraising campaigns. Her work spans business inclusive and community based projects under the Engro Fertilizers portfolio, ranging from education in Engro’s 13 adopted schools, vocational training at the Technical Training College in Daharki, and capacity building of small holder farmers in Engro’s value chains. She has overseen the management and training of large project teams, and successfully built relationships across both the donor and implementing partner space to have received grant awards and execute complex project implementation. Leena received a Spirit of Engro award in 2016 for her contributions to the Engro Foundation team. She is also an Acumen fellow. Her most notable achievements include her ability to work across teams in bringing projects to fruition such as the Let Girl’s Learn Michelle Obama initiative of over PKR 100 million, the Engro Reading Program, drafting aspects of Sindh Engro Coal Mining Company’s (SECMC) resettlement policy, and establishing an incubation park in Daharki. Mohammad Fayyaz is a core member of Engro Foundation and looks after the Administration and Accounts. He joined Engro Chemicals in 2006 as a Shares Officer and moved to Engro Foundation in 2011. A lot of his work revolves around handling the payments and accounts for the various CSR and business inclusive projects that Engro Foundation is running in different geographies of Pakistan. During his time at Engro Foundation Fayyaz has successfully helped the team in accounting and financial management of the Model Village project, Women Empowerment through Livestock Development (WELD) and Strengthening Entrepreneurs and Dairy Stakeholders Network (SEaDS Net). Some of his major achievements include successful financial closure of Engro Reading Program, a USAID funded project with extensive reporting requirements, error free tax deduction and return filing on behalf of Engro Foundation and automation of check issuance, a project that was also initiated by him. He has done Bachelor of Commerce, from Karachi University. Dr Sadoro Naz Keerio looks after all activities of Engro Foundation from the field office located at Daharki, he has been associated with the Engro Companies since 2010 and has a vast experience of working in the field. He has experience in developing strategies to mobilize communities to participate in the design, implementation and maintenance of Programs as well as designing viable strategies which are both respectful with the local culture and sensitive towards the female population. He has also worked on creating livelihood opportunities for members of the community around Engro plant in Daharki. He is Engro Foundation’s go to person for all the development work in Daharki and Katcha area. 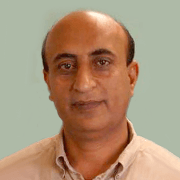 He has done Masters in Rural Sociology from University of Sindh and has also worked at Lead Pakistan. 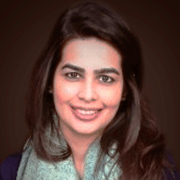 Maha joined Engro Corportation Ltd in 2013 as an advisor in crisis communications. She joined the Engro Foundation team two years and has looked at both CSR projects as well as communications for the foundation. Currently she is working on a three year program which focuses on enhancing livelihoods and increasing the sustainability of communities. Engro Foundation has partnered with WWF Pakistan and IUCN to target three union councils [Maripur (inclusive of Kakapir village, population estimate: 74,000), Ibrahim Hyderi (fishing colony with population estimate: 150,000), and Rehri village (inclusive of Lad basti, Chashma Goth and Razaqabad settlements, fishing colony with population estimate: 100,000)]) and working with the fisher groups, fisheries departments and private sector with the aim to support and promote improved fisheries management. This goal will be met by reforming governance and management to combat illegal fishing and reduce pressure on marine ecosystems through increased awareness. The 3-year project is made up of 4 major components; Sustainable Livelihoods, Sustainable Coastal Communities, Awareness & Engagement and Knowledge Creation & Dissemination. Prior to joining Engro Corporation Ltd, Maha worked as a Senior Sub-Editor at one of Pakistan’s most reputable newspapers – The Express Tribune. This was her first job after graduating from the Lahore University of Management Sciences with a BSc Honors degree majoring in Social Sciences with a minor in Economics. Rehma is working with Engro Foundation in a Project Management and Monitoring role, with focuses on education, gender empowerment and community development aspects. Currently she is leading the Sindh portion of USAID funded project “Let Girls Learn – Pathways To Success (PTS)”, a Michelle Obama initiative under implementation across different provinces of Pakistan to train young girls from the ages of 13-19 in vocational trades, entrepreneurship, life skills, and job readiness. Through this project, the Foundation hopes to empower young women to make more informed life choices, partake in the workforce, and leverage opportunities that contribute towards economic growth and the overall wellbeing of families and communities. Ghotki, which has been home to Engro’s Fertlizer plant for decades, will see transformational changes in bridging the gender gap towards the economic empowerment of women. Prior to joining Engro, Rehma has worked in the oil & gas sector within the Corporate Planning and Enterprise Risk Management functions. Her passion towards community development led her to join Engro Foundation in 2016. 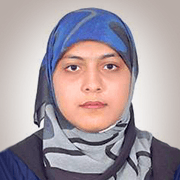 Rehma completed her majors in Accounting & Finance from Lahore University of Management Sciences, and holds a Master’s degree in Energy and Environment Management from Eni Corporate University, Milan.